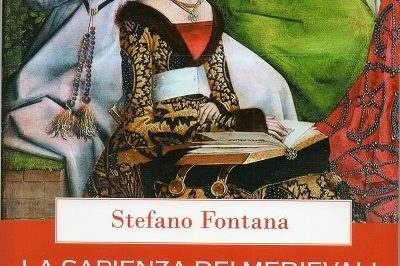 Now available in bookstores is Stefano Fontana’s new book on medieval philosophy [“La sapienza dei medievali. La filosofia cristiana da San Paolo a Guglielmo di Occam”, Fede & Cultura, Verona 2018 – click here ] and this offers us an excellent opportunity to speak with the author about philosophy, and Christian philosophy in particular. Mr. Fontana, for such a long time you have been dealing with the Social Doctrine of the Church, but for a few years you have also been very engaged in the realm of philosophy. 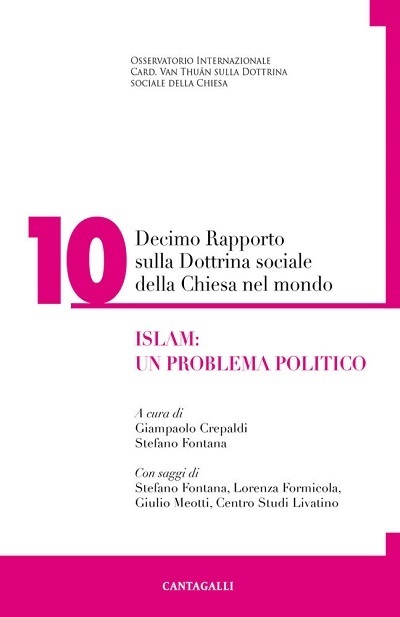 For example, you published a book very well received by readers entitled “Philosophy for All: a brief history of thought from Socrates to Ratzinger”, and recently launched a series of “Modules of Christian Philosophy” in video conferencing [Fede & Cultura of Verona], in which you have already dealt with ontology and gnoseology. Very true; over the last few years I have intensified my engagement in the field of philosophy. In fact, I believe that underway for some time has been a plan to change the doctrine of the faith not in a direct manner, but by changing the philosophy used ‘to do’ theology. This process has reached very high levels in the Church today. Basically speaking, it is a matter of modernism. This heresy was condemned by Pope Pius X in 1907, and its aim was for the Church to undergo a change from within, for the Church to manage this change all on its own. At that point the change would have been painless and resolute, and the faithful would have ended up believing in another religion without even knowing it. Theology needs philosophy for the conceptual categories required to be able to forge ahead. It is not true, as some people say today, that Catholic doctrine can go hand in hand with just any philosophy. The faith needs reason, but not just any type of reason. If theology reaches out to philosophies incompatible with the doctrine of the Catholic faith, the vision of the latter is gradually deformed, and people will inadvertently begin believing in a different faith. By way of example, if people place their trust in an existentialist philosophy, everything changes in the vision of the contents of the Catholic faith. Nowadays, however, this seems to be of little concern in seminaries and theological studies. . . I know. Theories regarding philosophical pluralism now hold sway in seminaries. But philosophical pluralism leads to theological pluralism which in its turn leads to doctrinal pluralism when taken on board by the Magisterium as well. Then again, bishops and popes were once seminarians, and if they learned the philosophy of Heidegger in the seminary instead of the philosophy of St. Thomas, as bishops and popes later on in life they will reason like Heidegger, but that is incompatible with the Catholic faith. I am flagging a core problem in the life of today’s Church, not a marginal one. Certainly, there isn’t just one philosophy alone that can represent the philosophy compatible with the Christian faith, because the latter does not just fall into line with any philosophy in particular. This, however, does not mean accepting pluralism which, in fact, makes faith indifferent to reason. If the faith can go along with any form or type of reason, it is indifferent to the reasons of reason. In this manner the intimate bond between reason and faith is destroyed, and people become Protestants while thinking they are still Catholics. In this sense, therefore, which philosophy should engage in dialogue with the faith? “Natural” philosophy, the way of knowing and thinking that corresponds to our nature as rational beings; in other words, the metaphysical realism that is the spontaneous philosophy of each child and which society may later undertake to pollute through formal education. The truths of common sense are universal and possessed by one and all. This can be seen in the fact that persons of different cultures are able to understand one another. Jesus Christ as well applied the principle of non contradiction because it was a natural principle of human intelligence. The natural grammar, syntax and logic that exist are also the fruit of creation, and are what makes it possible to know in a way that is realistic and immediately open to transcendence, because the implicit notion of God is present in this ‘natural’ philosophy from the very outset, and somehow implicit in any other expression of knowledge. Unfortunately, especially in modernity, man has created unnatural and artificial philosophies far removed from reality, and hence philosophy has become entirely focused on itself, embarking on the pathway to sheer folly. Basically speaking, solitude and self-referencing are the causes of folly. You have recaptured the concept of “Christian philosophy”. Can you tell us what this means? Christian philosophy is “philosophizing in the faith”, this being the exercise of natural reason within the framework of supernatural revelation. This by no means entails a curtailing of the autonomy of reason with respect to faith, because faith in revelation is what confirms reason in its autonomy. There are truths which reason, albeit able to know in its own right, would never have known without revelation. There are philosophical truths that revelation has transmitted to reason through non philosophical channels so reason can deal with them directly. There are truths that reason acquires, but would later lose sight of without the support of the faith. Without faith, reason is not able to be itself in full. When entering into the relationship with reason, faith does not call on it to become faith, but to be reason to the utmost degree, supporting it as reason, and calling on it to never despair, as is unfortunately always the case when reason takes its distance from faith. Nowadays, reason no longer believes in itself, doesn’t even believe it is able to know what life is, what death is, what a man is, what a woman is. . .this is due to the fact that it has abandoned its relationship with faith. Without ‘super-nature’, nature is not even able to be nature. Do you deal with this in your book on medieval philosophy? Yes, I do present the concept of Christian philosophy and illustrate its birth and development in medieval times. Christian philosophy saw the light of day in the middle ages, but is a perennial philosophy. Its Magna Charta is the Prologue to the Gospel according to St. John, where Christ is referred to as the Logos of God. There were many great philosophers during medieval times, and I’ve made an effort to present them in a didactic manner in the book. Nonetheless, Christian philosophy attained a particularly important apex with St. Thomas of Aquinas. St. Thomas’ philosophy is the main “proof” of the fact that a Christian philosophy is possible. Many were those who argued that a philosophy in the true sense of the word wasn’t possible during medieval times because reasoning was faith based, and hence possible alone was a theology. St. Thomas, however, demonstrated that the faith implicitly contains a philosophy and that reason cannot venture outside the relationship with faith in order to render the latter explicit. St. Thomas’ is a truly new philosophy, and not just a rethinking of Aristotle, the Arabic Commentators, or Pseudo Dionysius. From what you say I must conclude that Christian philosophy needs Greek philosophy in any case. Joseph Ratzinger-Benedict XVI stated that the encounter between Christian faith and Greek philosophy had been “providential”, and I agree with him. In my book I try to illustrate this process of collaboration that took place in Patristics, during that age of the major Councils of the Church of yesteryear, in the battle against heresies, and in the definition of the Canon. It then continued in the philosophy erroneously referred to as that of the “dark ages” prior to the year 1000, abounding with outstanding philosophers now forgotten, and was brought to completion in the Scholasticism of the golden age, the XIII century. It must be stressed, however, that it wasn’t just a matter of the instrumental reception of the categories of Greek philosophy which contained so many errors, but a purification thereof in the light of the contents of the faith able to produce philosophy. This constitutes the grounds for the possibility of a Christian philosophy which renders the relationship between faith and reason substantial and not accidental, while at the same time maintaining the primacy of the faith, without which there would just be philosophy and not a Christian philosophy. In your opinion, are there any signs of people feeling this need for a return to a natural philosophy? Children are born realistic philosophers, and then society and schooling turn them into skeptics. Since the pall of doom is fast looming, it is difficult to avoid it, and people end up believing they are happy in this swill of nothingness surrounding us. Man is able to get used to this as well. Nonetheless, there are evident concrete signs of reaction, groups of Christians that intend to regain possession of the possibility to think as they breathe. I myself am working with a few of these groups. These are sound realities that instill hope. What do you start with when you get together with these groups and when you deliver your video conference lectures? My point of departure is an explicitly realistic approach, pointing out that this is fundamental. If I begin by asking myself what I can know, I’ve already messed up everything and a state of doubt always prevails. The modern way towards subjectivism that tail spins around itself has already taken command and will relentlessly take over. I must begin from the certainty of knowing, and by knowing, I will learn to know. First I know and then I learn how we know. If, however, I think I have to learn what it means to know in order to then know, I end up not knowing anything. The problem of method comes afterwards, and not before, contrary to what has been erroneously argued by modern philosophy. Nowadays it is thought that everything “depends on points of view”. This is the doubt that has by now become systemic, and there is no way out of it. As long as doubt prevails, however, each person remains locked away in his or her own world. They call it dialogue, but it is monologue; a monologue bereft of sense and hence asphyxiating for the soul. Sense, in fact, must be objective, and in order to be objective it must be original, it must be independent from our viewpoint. This is the metaphysical realism of Christian philosophy, and it is a liberating realism.